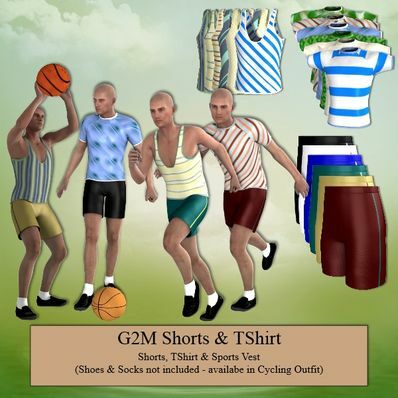 Shorts, TShirt & Sports Vest for Genesis 2 Male for use in Daz Studio 4.6. Mix and match to suit. Thanks for this fine set! Thank you for that nice clothing. Oh, wow! Thank you so much!